WHOLEFOOD MEAL REPLACEMENT AND PROTEIN SHAKE. Purition is more than just a high protein powder. 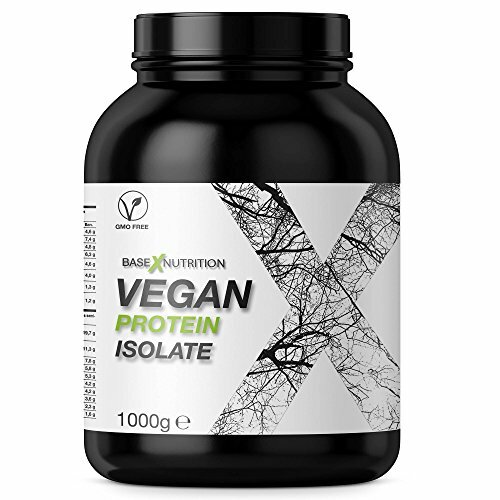 It is a natural, healthy, real food alternative to meal replacement shakes, smoothies and protein supplements, made from real wholefood ingredients and a vegan/dairy free source of protein. NATURAL INGREDIENTS. You will find none of the processed powders, additives, sugars or flavourings found in regular protein powders and meal replacement shakes. Just natural protein, healthy omega fats, fibre and the vitamins and minerals your body needs. Vegetarian Society and Vegan Society approved. CONVENIENT. Our pouches provide a quick and delicious low carb, low sugar breakfast smoothie, or lunch when you do not have time to cook. Real food, ready in 30 seconds, with no cooking and perfect portion control every time. If you are looking for a healthy wholefood shake as a meal replacement for weight loss, healthy living or sports nutrition, Purition is made with only the very best clean and natural ingredients and is Vegetarian Society and Vegan Society approved. More than just a natural protein powder or meal replacement shake, with Purition you will be consuming more protein, more fibre, more healthy natural fats and more vitamins and minerals. At Purition we will never swap real food for processed powders, additives, sugars or flavourings. The Pea, Rice and Hemp protein in our Vegan Dairy Free blends, combined with our other natural ingredients, contain amazing benefits, such as dietary fibre, essential fatty acids, amino acids, antioxidants and essential vitamins and minerals. Forget hunger pangs. Slow release and satisfying. The nutrient dense low-sugar/low-carb calories in Purition will keep you full between meals without raising blood sugar levels. Post-workout recovery. Junk-free fitness food means your body recognises every ingredient in Purition: wholesome food that supports your fitness regime. If training, use Purition after exercise to replace lost nutrients or well before to fuel your workout and recovery. Our balanced blend provides a quick and delicious low carb, low sugar breakfast shake or smoothie, or lunch when you do not have time to cook. Because real food does not dissolve, you are going to have to blend it if you want a smoother consistency. So, grab your blender, your favourite milk and give Purition a quick blitz. This will unleash the powerful natural oils, protein, fibre and flavour. Real food, ready in 30 seconds. With no cooking and perfect portion control every time. Ingredients you can feel great about and trust to deliver improved nutrition, so you can reach your goals faster. WEIGHT LOSS. Our unique gluten-free blends leave you feeling full and satisfied, without raising blood sugar levels, which means you will not be tempted to reach for a sugar fix before lunch. Each 40g serving has no more than 200 calories and no more than 14 grams of fat. POST-WORKOUT RECOVERY. If training, use Purition after exercise to replace lost nutrients or well before to fuel your workout and recovery. Packed with essential fatty acids (Omega 3, 6, and 9) and protein (BCAAs) providing your body with the natural sports nutrition it craves after exercise.